Petcare subscription box is designed to assist pet owners with managing the basic essential health care for dogs and cats. 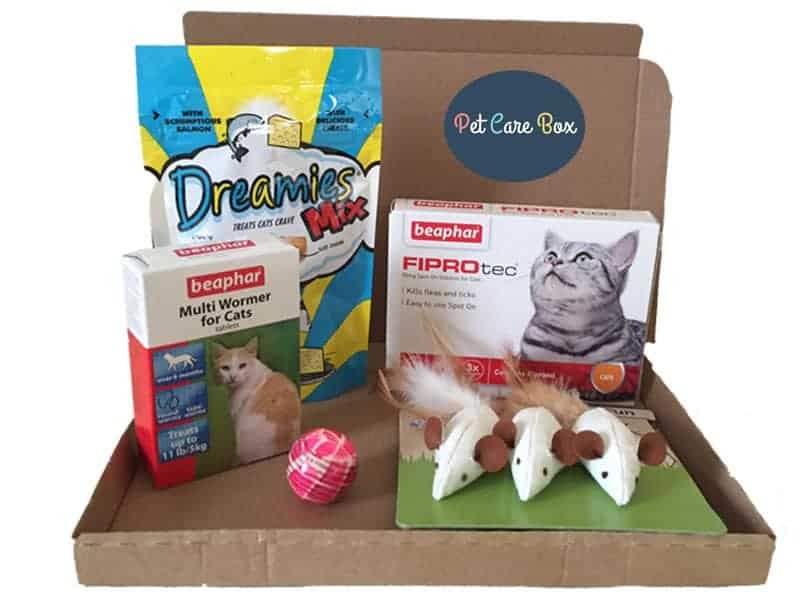 Petcare box provides monthly flea and tick treatments and quarterly wormer, Delivered through the front door alongside other handy healthcare products, hints, tips and a treat or two. There maybe even one for you. When you subscribe we take all of the important information to ensure you receive the correct treatments for your pet. You only need to provide this once and we do the rest. Their main aim is to help you manage your pets healthcare, with the least amount of hassle to you. The box is sent monthly and is delivered by royal Mail through your letterbox. You don’t need to wait in for your parcel, couldn’t be easier. How would you rate Petcare Box ?